TORONTO -- The Progressive Conservatives accused Premier Kathleen Wynne on Monday of calling the June 12 election to try to bury a highly critical report into Ontario's troubled Ornge air ambulance service. Wynne asked Lt. Gov. David Onley to dissolve the legislature Friday, May 2 -- even though Ontario elections must officially start on a Wednesday -- because the Ornge report was to be released Monday, May 5, said former Tory MPP Frank Klees. "The last thing that this government wanted was yet another embarrassment, and this is without question an embarrassment," Klees said as he released the unanimous report from an all-party legislative committee. "She knew she couldn't call the election until Wednesday, yet she pulled the plug on the legislature on Friday afternoon." Wynne rejected the Conservatives' accusation, and said the only reason she asked to dissolve the legislature and call the election was because both opposition parties stated they would not support the minority Liberal government's May 1 budget. "For him to pretend that this is a report that we ignored and that we were not interested in having seen the light of day, this is not the case," Wynne said at a campaign stop in Toronto. "The only reason why this report was not released on May 5 was because we were into an election." Klees, who led the Opposition's charge into allegations of corruption and mismanagement at Ornge but is not seeking re-election, said he felt compelled to release the report after the air ambulance service was hit with 17 labour code charges Friday, stemming from a 2013 crash in Moosonee that claimed four lives. "We owe it to those pilots and front line staff to make the report public," he said. "There was a gross lack of oversight by the Ministry of Health of the air ambulance service, and it rests at the door of the minister." The report said the committee "is concerned that two separate Transport Canada inspection reports found Ornge to be out of compliance with night flight training of its pilots, particularly given the challenges of flying in northern Ontario." It expresses concerns about decisions made "at the most senior levels" in the Ministry of Health, including "the failure of the minister to respond to repeated warnings about Ornge mismanagement and health and safety risks," added Klees. "The report exposes Ornge board members for their failure to exercise their fiduciary responsibilities and calls for the government to pursue them to recover the millions of dollars wasted," he said. "And the report calls on the government to pursue (former Ornge CEO) Chris Mazza and executives and professionals to recover funds that were siphoned into their pockets through their greed." Mazza collected $9.3 million over six years at Ornge as he created a complex web of for-profit and not-for-profit entities related to the air ambulance service. Ontario Provincial Police are currently conducting a criminal probe into financial irregularities at Ornge, which receives about $150 million from the province. 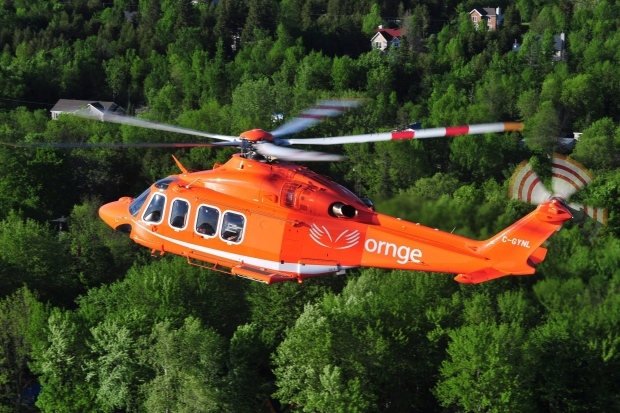 Executives at Ornge and its for-profit companies received $52.8 million between 2007 and 2011. Almost $2 million was paid to board directors, including former chairman Rainer Beltzner, whose compensation topped $232,757 in 2011. "The committee is of the view that Ornge, under the direction of Dr. Mazza, drove the air ambulance program into the ground, leaving very little to build on for the future while staff attempted to deliver core services," said the report. "There was an apparent inability or unwillingness of the Ministry of Health to obtain the information needed to exercise proper oversight of Ornge." Ontario's auditor general criticized the Liberals for failing to oversee Ornge after giving it $730 million over five years and allowing it to borrow another $300 million. But the committee concluded the auditor's findings were "compromised by contradictory and inconsistent testimony" from several witnesses. "Witnesses providing less than forthright testimony included staff from the Ministry of Health, current and former Ornge employees, members of the former board of directors, standing agreement carriers' representatives, and various professionals." The Liberals insisted Ornge went rogue with its web of for-profit companies and questionable business deals, as well as exorbitant salaries and lavish expenses.